Deep cleansing, emollient-rich acidic wash. Conditions and smoothes the hair cuticle while it cleanses. • Penetrates deep within each strand. 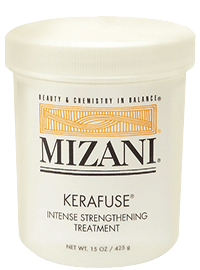 • To be blended with Kerafuse for a customized treatment. • Bonds and helps seal in moisture. • Restores hair’s moisture/protein balance. • Reverses damage caused by excessive chemical processing. • Can be blended with Hydrafuse for a customized treatment. • Available in 1.7 oz size. • Soothes and treats dry scalp. • Use alone and/or in combination with Puriphying shampoo.